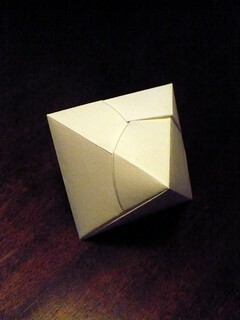 With, of course, a major nod to Mélisande*'s Iso-area octahedral container 2.0. There's nothing iso about its area, though, all one color. And the flaps go on the inside.